This is the worst lie of all. There are about 36 million American smokers, and more than a billion worldwide. They don’t deserve to be lied to about a product that could very well save their lives. Burning tobacco produces smoke that contains a lot of proven carcinogenic chemicals, along with combustion products like carbon monoxide that cause cardiovascular damage. Right OK. So within a few tweets we are already miles away from “new railway by-laws” and into some dumbass policy dreamed up by wooden tops in suits in a Brummie office. How, exactly, can anyone be prosecuted for breaking a private company’s policy? I could install a policy of banning the eating of sardines in my office premises (thought has occurred), but I don’t think the Police would race down with their blue lights flashing to enforce it and fine people for me. Because the article also showed a BBC video of a passenger being given an ‘interview under caution’. Now, I have experience of these so know that an interview under caution is a procedure, under the Police and Criminal Evidence Act (PACE) 1984, in situations where someone is suspected of committing a criminal offence. Not adhering to a private company’s charter is not a criminal offence unless private companies are allowed to just make up criminal law on the hoof or something. On June 20th, the San Francisco Board of Supervisors finalized a ban on all sales of flavored tobacco products, including menthol cigarettes and flavored nicotine solutions that are used in electronic cigarettes. The law goes into effect on April 1st, 2018, and has been vehemently opposed by the vaping community and owners of small local businesses throughout the state. Supervisor Malia Cohen, who introduced the legislation, states that “flavored tobacco products taste good, mask harsh flavors, and make it easier for people to start a lifelong habit.” However, like many flavored products such as alcohol and condoms, flavored e-cigarettes are intended for adults and can only be legally sold to adults. A shame. In preparation for a new Tobacco Plan, Agnès Buzyn, French Minister for Health, HAS still not seen fit to sponds to the associations of users of the vapotage. 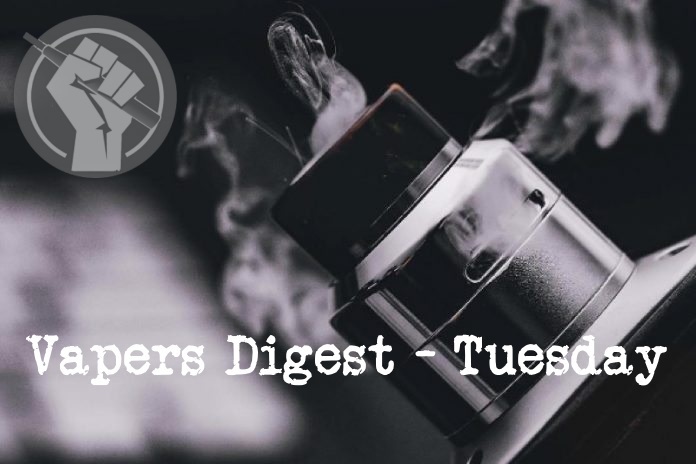 The Aiduce , Representing the interests of the three million vapoteurs, and Sovape , an active group for the dialogue entre users, scientists and politicians around the tool for harm reduction and cessation, are simply snubbed. No reply, Even a mere politeness, to Their attached letter of July 20th . “While the government is Announcing a new anti-tobacco plane by the end of September, and the balshtonists sccm to-have opened the door to the ministry, the Lack of hearing of the associations of steam, Consumers and risk reduction is Worrying, as to future directions , ” the two associations recall today . The Government of Canada introduced Bill S-5 to the Senate on November 22, 2016. This proposed act will amend the Tobacco Act, Non- smokers’ Health Act and other pertinent acts once adopted. Based on this proposed act, Health Canada now wants to establish a first set of measures to regulate vaping products.